Kent Larson is an American architect involved in different projects to solve contemporary problems in the home, the workplace and the city. 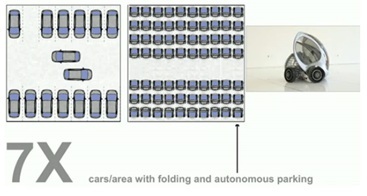 In this presentation from TED , he gives his vision of how technology can improve living conditions in cities. He also suggests what lessons we can learn from the past in planning the cities of the future. Video time: 16 minutes and 42 seconds. Activity time: 30 minutes to 1 hour. 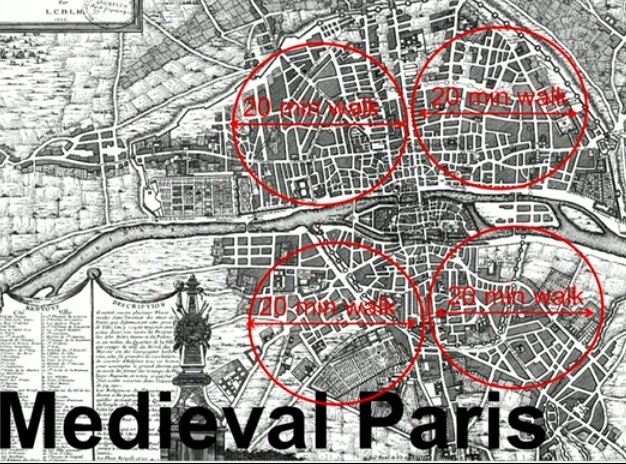 1 What are the characteristics of (a) pre-industrial settlements (b) industrial era cities? 3 What are the new trends in cities (a) for work (b) for the home? 4 How could Paris be a model for the city of the future? 6 What’s special about Copenhagen? 7 Explain the diagram below. 8 Why might cars need eyes? 9 How can you “democratize access to bike lanes”? 10 What is a possible solution to the problem of affordable housing ? 12 Why might you need wireless sensors in your furniture? 13 How can you create “personalized sunlight”? To check your understanding, go to the "show transcript' menu under the video window, and select "English" (or your own language, if you prefer).